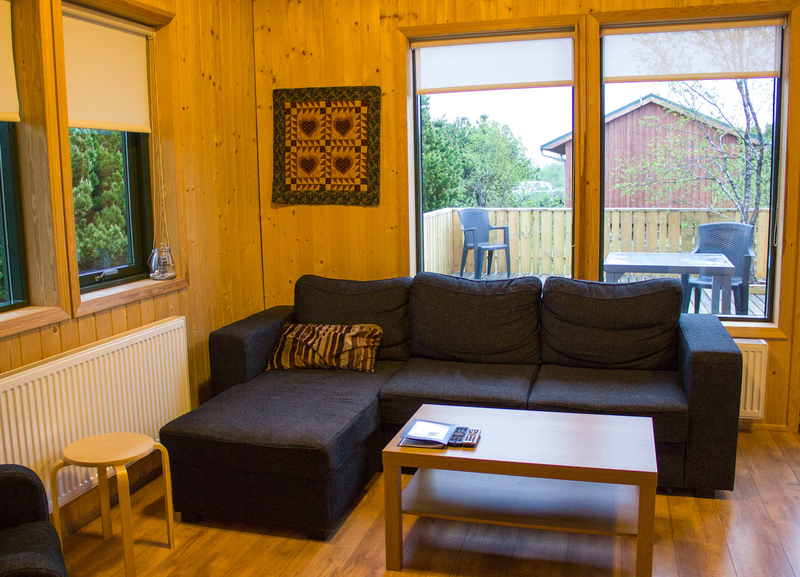 Gesthus Selfoss is the perfect place to call home after touring around the Golden Circle. It was our first day venturing outside of Reykjavik. We picked up our rental car and spent the day exploring the Golden Circle. It was a busy day. It was also a rainy day. By the time we finished visiting Thingvellir National Park, Geysir, and Gullfoss, we were cold, wet, and tired. After a long day, we wanted a comfortable place to relax for the evening. We wanted a cozy place to call home. Thankfully, we booked our stay at Gesthus Selfoss. It was a delight to stay at this accommodation. Gesthus Selfoss was the best place to unwind after our adventures. 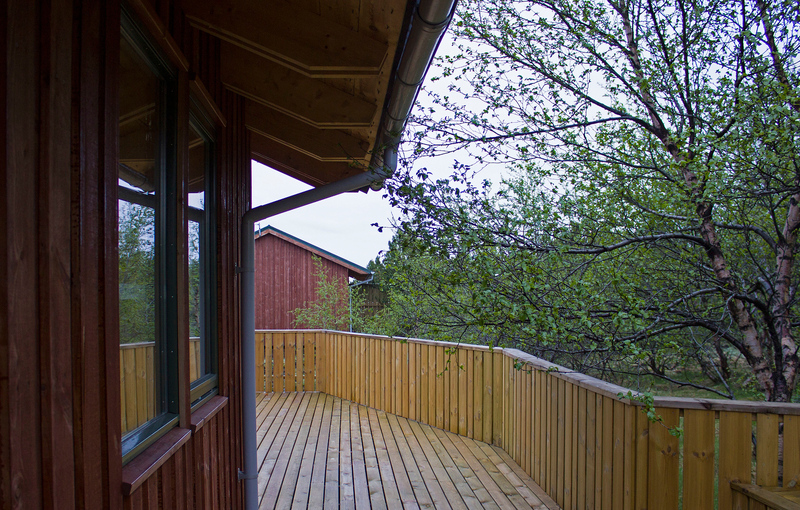 We stayed in one of the two summerhouses – ours was called, “Hof”. They were newly constructed in 2014 and feature many modern amenities. Even though only the two of us stayed there, the house can easily accommodate four to six people. There was one bedroom with a queen sized bed, one bedroom with two twin beds, and the couch had a pull-out sofa bed. 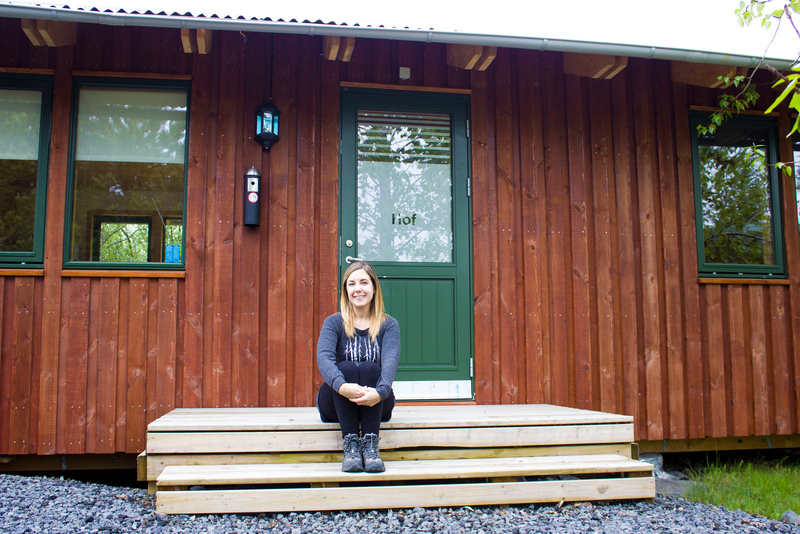 I adored this wooden cottage, complete with a wraparound wooden deck and porch. Although the weather was a little dreary when we visited, I could picture us enjoying drinks or coffees on the patio. 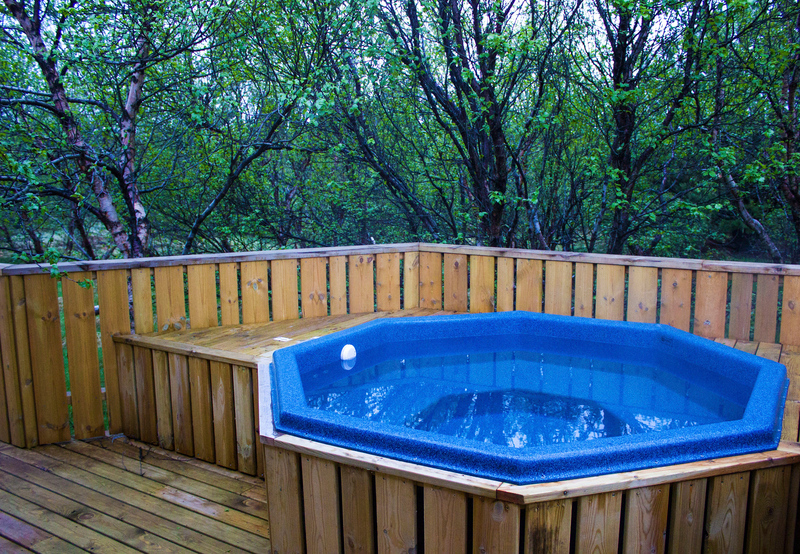 Behind the cottage, there was a private geothermal hot tub in a serene environment. There were trees behind us, and I couldn’t even tell that there were other guests staying on the property. It really was our own backyard oasis. 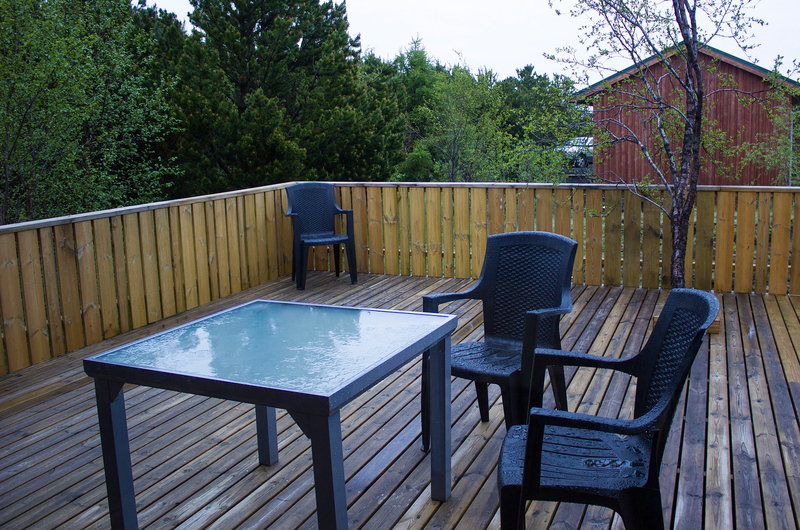 We appreciated the quiet and solitude that perfectly complimented this Icelandic vacation. 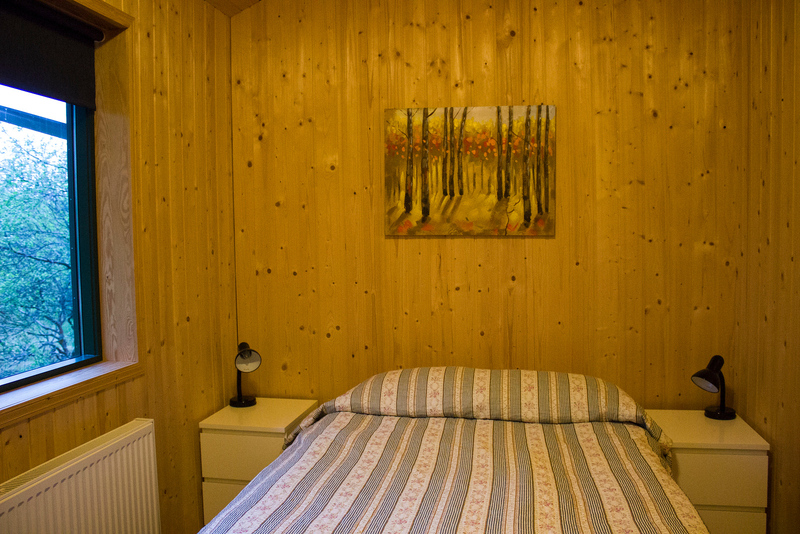 The primary living space in the cottage was quaint and comfortable. There was a full kitchen where we prepared our dinner that night. The kitchen had a refrigerator, ceramic stove top, oven, microwave, toaster, kettle, coffee maker, dishes, and cookware. It had everything that we needed for the night. 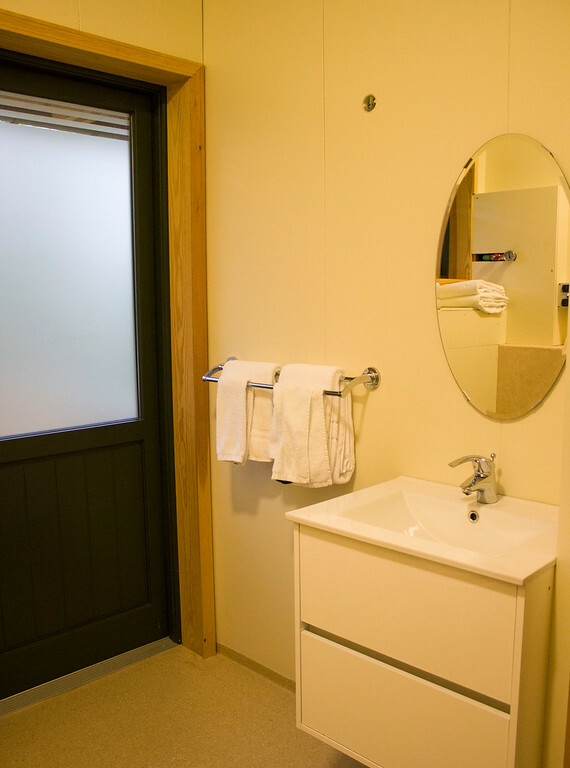 In the bathroom, there was a shower, toiletries, and towels. From the bathroom, we walked straight out to the private hot tub. The instructions to fill up and use the hot tub were posted in the bathroom, and the directions were very straight forward. Let me take you on a small tour of the cottage’s interior. 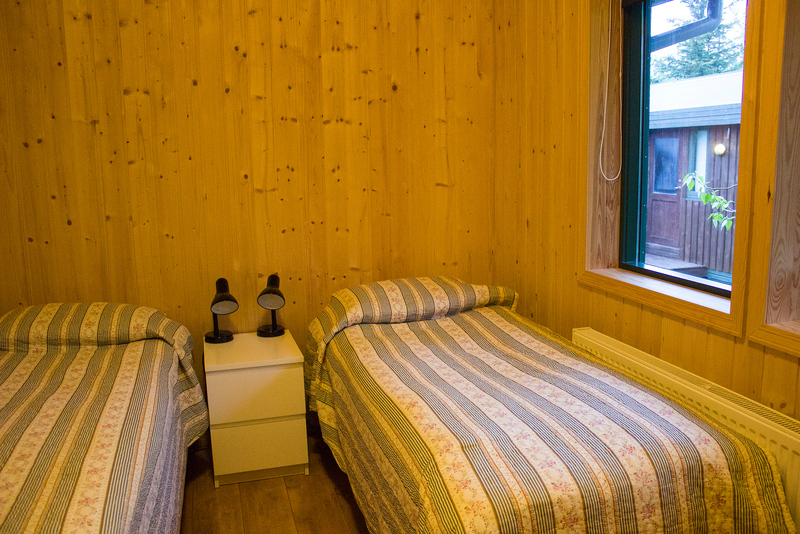 There are also private bungalows in the forest that are great for 1-3 adults, or a couple with two young children. There are geothermal hot tubs at the service center for these guests to soak and relax. 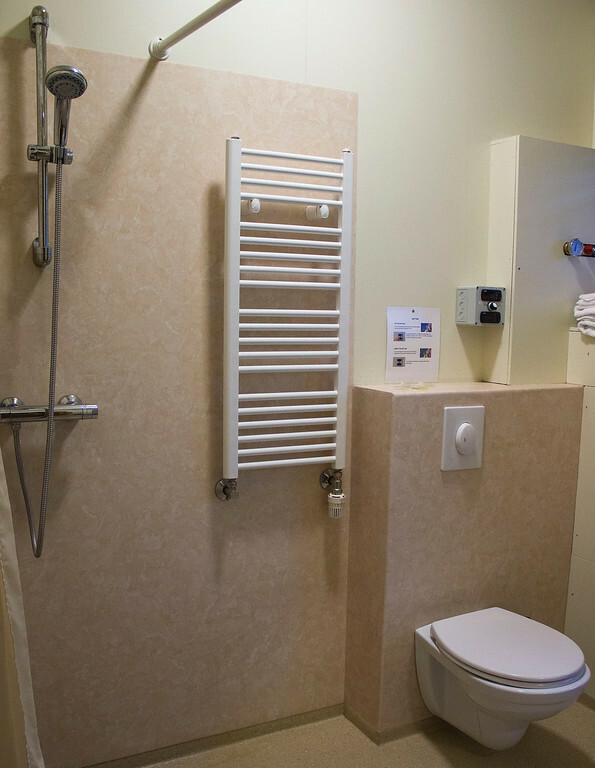 There are also washing machines and dryers next to the service center that both bungalow and summerhouse guests can use for free. 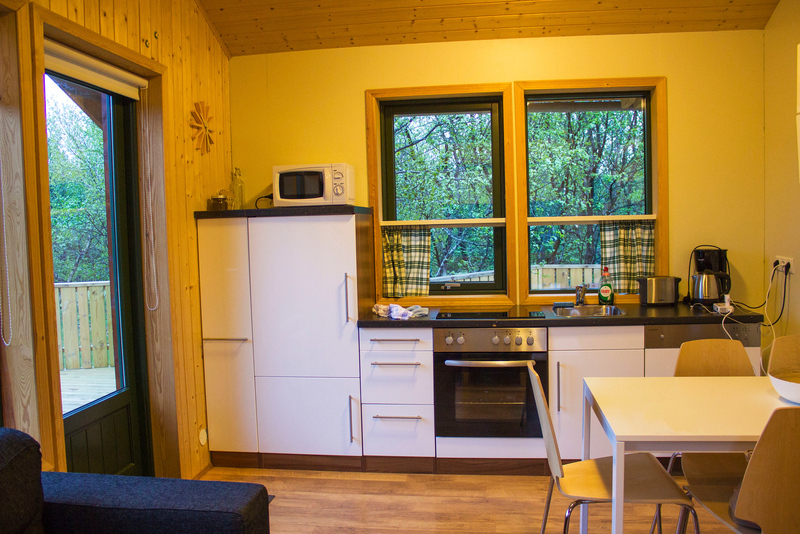 For those who prefer camping, Gesthus Selfoss has a campsite on the property. There’s a separate service center with showers, washrooms, a dining room, and a kitchen where you can cook meals. 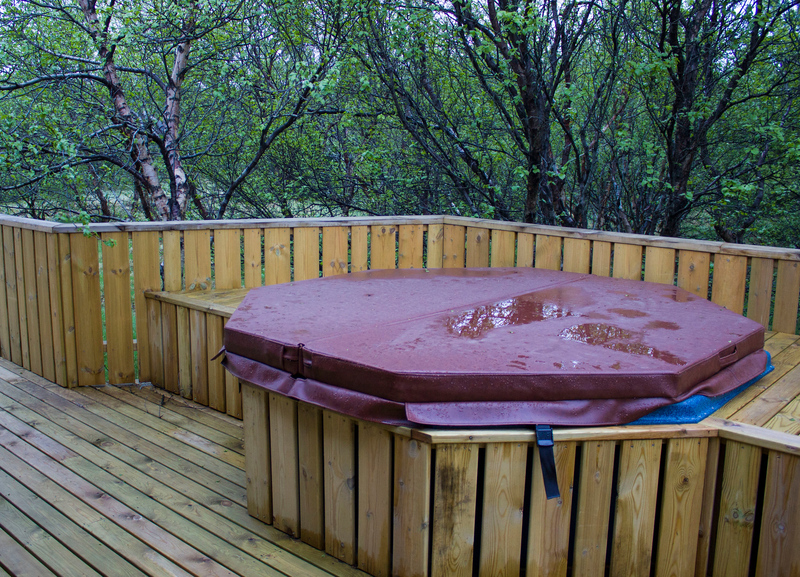 Campsite guests can use the hot tubs, and there’s even free WiFi. 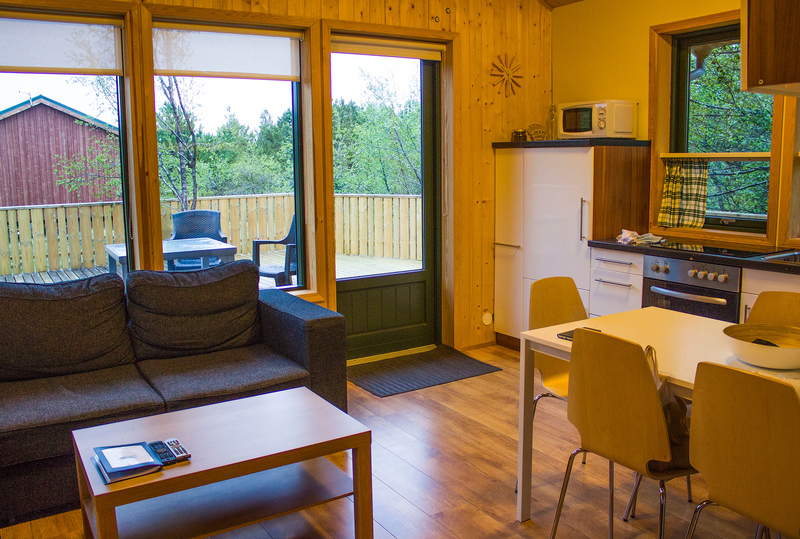 WiFi is available for all guests at Gesthus Selfoss. Breakfast can be purchased in the service center for a small fee between 8 and 10am. Gesthus Selfoss is right in the middle of town – the small town of Selfoss, that is! We were around the corner from a public pool, restaurants, coffee shops, and grocery stores. We went to the local Netto grocery store to pick up inredients as it was open until 9:00pm. Everything was right around the corner from Gesthus Selfoss, and it only took moments to drive anywhere we needed to be in town. We also enjoyed staying here because it was convenient for our Ring Road journey. After traveling around the Golden Circle, Selfoss was a great stopping point. When we awoke in the morning, we were already on Route 1 to continue our adventure, traveling counter-clockwise around the Ring Road (the main road in Iceland that follows the perimeter of the island). Although we only briefly met the staff, everyone was really nice and welcoming. We checked in to our home, Hof, with ease. Checking out as also a breeze. There was always someone at the reception desk, and it was no problem that we arrived a little bit later in the evening. 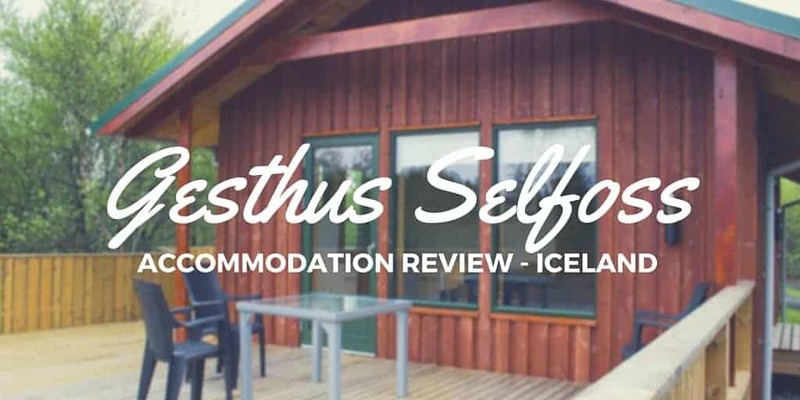 Gesthus Selfoss was everything we wanted in a place to stay – and more! We stayed at a luxurious and comforting guesthouse that felt like our home away from home. The full kitchen allowed us to cook our own meals, which helped us keep to our vegan diet and save money. (Side note: Tons of vegan food – even vegan cheese – at nearly every grocery store in Iceland!) The private hot tub was an added bonus. After feeling chilly and wet all day, we loved being able to sit back, take it easy, and be soothed by the warm waters. 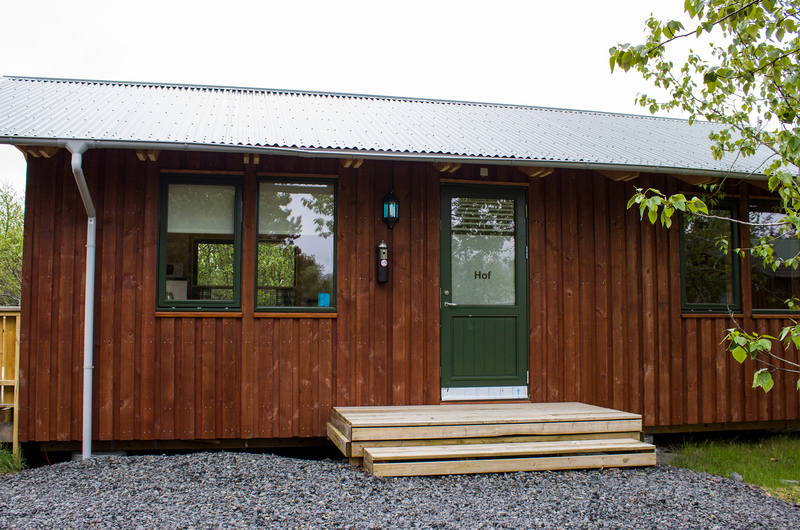 Book your stay at Gesthus Selfoss – whether it’s the summerhouse, the bungalow, or the campsite. It’s a lovely place to stay in a serene environment. You won’t be disappointed! Disclaimer: Thank you to Gesthus Selfoss for hosting our stay. Our opinions, as always, are entirely our own. 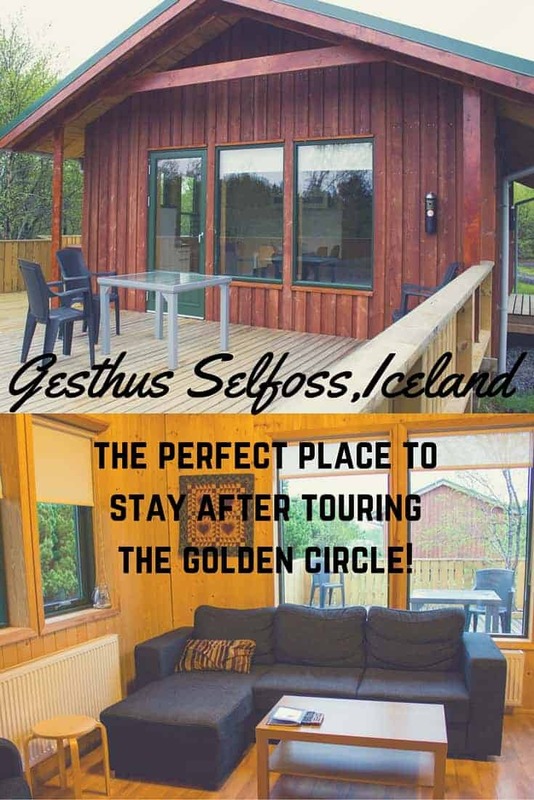 We highly recommend Gesthus Selfoss as we had an amazing experience staying there.